Welcome to the website of the firm DYNACORD profi sound. 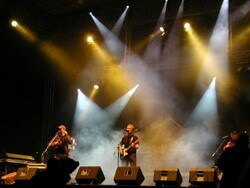 We have been professional sound and light technicians since 1997. We always try to do our best to meet the customer´s requirements and his wishes. We would like to make you acquainted with our technical possibilities in short and the professional level of our work. We are looking forward to the cooperation with you.